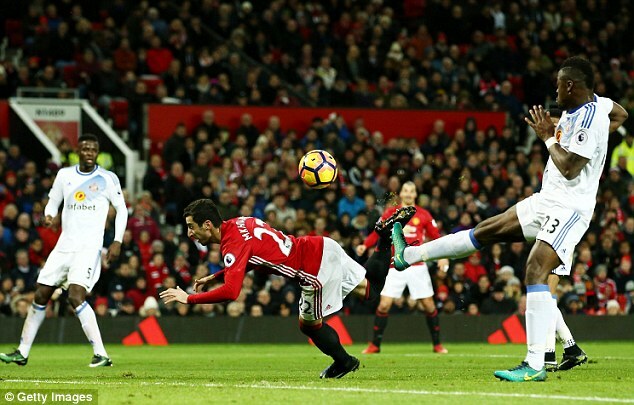 EPL scorpion kicks: Mkhitaryan’s or Giroud’s better? It was a case of anything you can do I can do better for Olivier Giroud and Henrikh Mkhitaryan, after the Arsenal striker scored a scorpion kick wonder goal to rival that of the Manchester United playmaker. 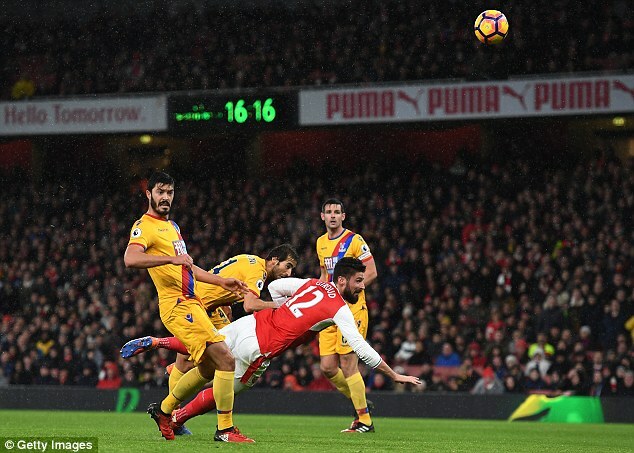 Mkhitaryan wrote the headlines on Boxing Day with his sublime finish against Sunderland at Old Trafford, but just six days later Arsenal man Giroud went and copied his heroics during the Gunners’ clash with Crystal Palace. 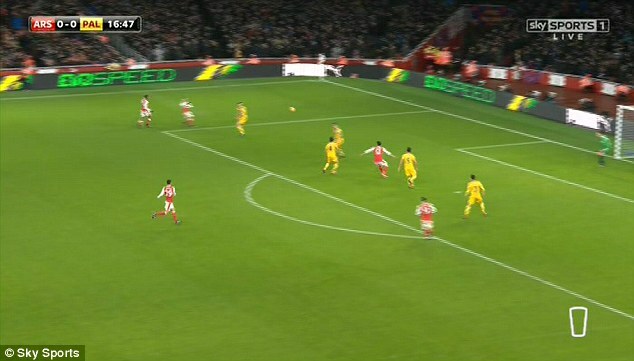 Making a darting run into the box, Giroud latched on to an inswinging cross from Alexis Sanchez in spectacular fashion, catching the ball cleanly with his outstep to direct an effort towards goal. As Giroud’s effort crashed in off the underside of the crossbar former pro Gary Neville hailed it as ‘one of the best goals I’ve ever seen, but the main himself admitted there was an element of luck involved. ‘First Alexis gave me the ball behind me, and I try to back heel and I have maximum luck,’ the Frenchman told Sky Sports. ‘I was not in a good balance, it’s a great feeling. I wanted to score from the first minute from Nacho’s cross when I was a bit short. It’s a nice one for the team. I’ve never done this before, so it’s all about luck. 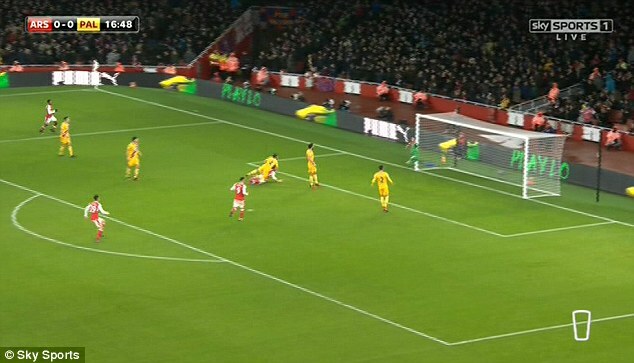 Sky Sports pundit Graeme Souness also acknowledged the part luck played in the Frenchman’s goal, which came from a Sanchez cross which was difficult to control, but praised the Arsenal’s forward’s ability to improvise. 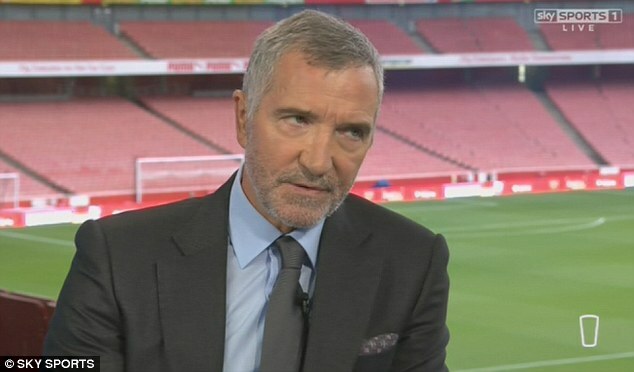 ‘Very modest, Olivier Giroud there,’ Souness said. ‘It’s a great goal, but the player himself has come out and said there was a large slice of luck, all he can do is dangle a leg and get some movement on it. ‘He could do that another 1,000 times and it wouldn’t end up in the back of the net. There was no real thought given to it, it was an instinctive reaction and he’s been very lucky with where the ball ended up. ‘Enjoy the moment Olivier, you improvised, showed great athleticism but there was a large slice of luck. 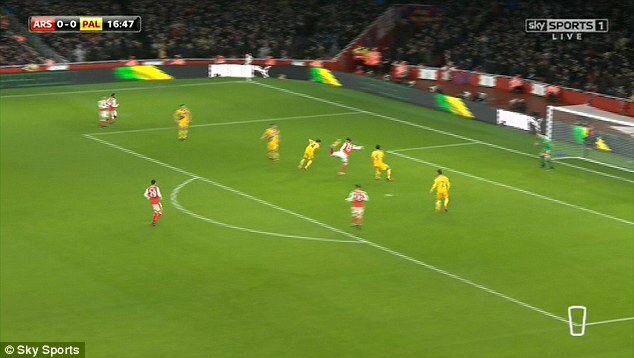 ‘If that’s not going in, he’s got a point to have a go at Sanchez for playing a ball that’s behind him so he can get his head on it, so he’s got an argument there. He’s got to get it in front of him. His fellow Sky pundit, Jamie Carragher, was equally as awestruck by the majestic finish and, while admitting there was an element of luck, gave Giroud more credit than colleague Souness. He said: ‘It’s amazing really. You’re struck by amazement watching it. You’re kind of in disbelief, has he just done that? ‘He is trying to score… when you talk about luck, a lot of shots are like that (helping the ball goalwards), it’s not a case of ‘I’m going to put it exactly there’. 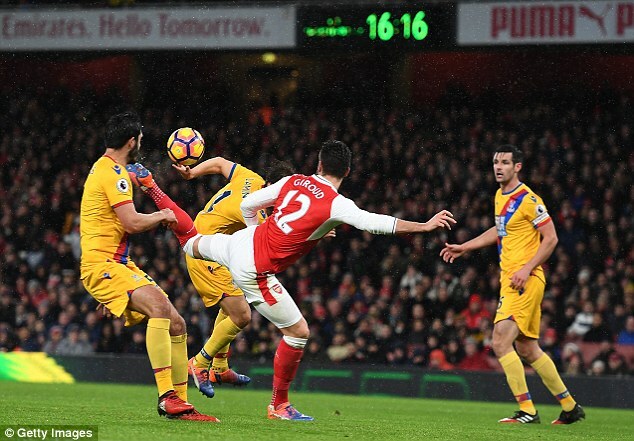 But whose goal was better – Giroud’s or Mkhitaryan’s? According to Carragher it is the Arsenal man who comes out on top, as a result of build-up play which preceded the finish. ‘I think before you actually get to the actual individuals, I think the Arsenal build-up makes that (better),’ he said. ‘I think when you see Giroud’s, whenever I see a goal go in off the bar, it always looks better. I think Giroud’s goal is better.